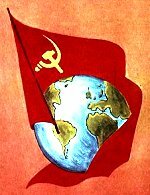 "Our goal - USSR worldwide"
Music: G.Eysler Lyrics: Texto en Español: Salvador Chardi 1929. "Legko na serdtse ot pesni veseloy ;-)"
Music: Karlos Mekhia Godoy Lyrics: Karlos Mekhia Godoy 1979. Music: P. Degeyter Lyrics: E. Rote 1871. Music: Claude-Joseph Rouget de l’Isle Lyrics: Claude-Joseph Rouget de l’Isle 1792. Singer: Mirey Mate Performed in 1980г. Music: Klod Zhozef Ruzhe de Lill (aranzhirovka - Gektor Berlioz) Lyrics: Klod Zhozef Ruzhe de Lill 1792. Singer: Roberto Alanya (tenor), khor armii Frantsii, Parizhskie smeshanniy i detskiy khori, orkestr londonskogo teatra Kovent - Garden, dirizhyor Bertran de Biyi Performed in 2003г. Music: Klod Zhozef Ruzhe de Lill Lyrics: Klod Zhozef Ruzhe de Lill 1792. Music: Klod Zhozef Ruzhe de Lill 1792. Singer: Hipolito Lazaro Performed in 1936г. Music: Claude-Joseph Rouget de l’Isle Lyrics: ? Singer: ? "To arms, my friend: miner, student, peasant, blacksmith ..."
Music: Serkhio Ortega Lyrics: Serkhio Ortega 1970. Singer: Quilapayn Performed in 1973г. "We sing a song about our Great Leader and our heroic labour..."
Music: Matvey Blanter Lyrics: Mikhail Isakovskiy i Aleksey Surkov 1947. Singer: Vladimir Bunchikov i Vladimir Nechaev. Performed in 1951г. "Let us double, triple production to make our country prosperious..."
"Last fighting is the hardest one..."
Music: E. Zharkovskiy Lyrics: O. Kolichev 1948. Singer: Ansambl KBF Performed in 1948г. Music: E. Zharkovskiy Lyrics: O. Kolichev 1948. Singer: L. Utesov Performed in 1948г. Music: Zharkovskiy Lyrics: Kolichev 1948. Singer: O.Razumovskiy, vokalniy oktet, ap658 Performed in 1951г. "Nash boevoy klik seychas kak mozhno bolshe poleznoy raboti..."
Lyrics: L.B.Krasin 1919. Singer: L.B.Krasin Performed in 1919г. "Opyanennie krovyu i vlastyu, pust trepeshut teper palachi"
Music: A. Pakhmutova Lyrics: N. Dobronravov 1962. 1946. Singer: V.I.Lebedev-Kumach Performed in 1946г. Music: N.Polikarpov Lyrics: S.Krasikov 1973. Singer: E.Labkovskiy Performed in 1973г. Music: V. Muradeli Lyrics: P. Gradov 1944. Singer: Ans. pesni i plyaski ChF VMF SSSR Performed in 1983г. "Chetire goda dlilsya boy, a mir ne nastupal..."
Music: Bertolt Brecht / Ernst Busch Lyrics: Bertold Brekht (Bertolt Brecht) 1918. Singer: Ernst Bush (Ernst Busch) Performed in 1967г. "We built our happiness ourselves"
"Den osenniy, kak den vesenniy. Mi vpervie zakhodim v klass. I vstrechaet nas v klasse Lenin, I s ulibkoy glyadit na nas..."
"Vremya! Snova leninskie lozungi razvikhr! Nam li rastekatsya slyoznoy luzheyu? Lenin i teper zhivee vsekh zhivikh — nashe znane, sila i oruzhie!" Music: Vissarion Yakovlevich Shebalin Lyrics: Vladimir Vladimirovich Mayakovskiy 1931. Singer: Solisti teatrov, Khorovaya kapella p/r A. Yurlova, Simfonicheskiy orkestr VR p/u A. Gauka Performed in 1965г. "Nam kazalos, v kommunizmovi zatoni tolko volni sluchaya zakinut nas, yulya... Kommunizma prizrak po Evrope riskal..."
Music: Visarion Yakovlevich Shebalin Lyrics: Vladimir Vladimirovich Mayakovskiy 1931. Singer: teatrov, Khorovaya kapella p/r A. Yurlova, Simfonicheskiy orkestr VR p/u A. Gauka Performed in 1965г. "Some countries have Soviets nowdays and soon we'll see victory of communism all over the world!" Lyrics: Vladimir Ilich Lenin 1919. Performed in 1919г. "...capitalists support antisemitism to turn worker's anger on jews instead of capitalists..."
"This will encourage farmers to harvest more food and will help rising our light industry"
Lyrics: Vladimir Ilich Lenin 1921. Performed in 1921г. "we must rebuild transportation system then industry will breathe again and starvations will end..."
Lyrics: Vladimir Ilich Lenin 1920. Performed in 1920г. 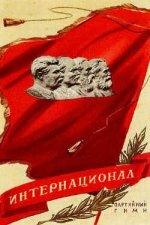 "Our enemies say: they won't be able to survive without us, they cannot organize work"
"Memory about comrade Sverdlov will serve as example of revolutionary work..."
"Hungarian revolution now goes on communst rails..."
"When working men unite around best of our class, then victory is ours!" "...those fake "civilians" must be arrested, and all other honest people must be rewarded and encouraged to work"
"Capitalists of England, France and USA attacked Russia to destroy new socialist Soviet rule..."
"The first time in the world labourers drive the state politics...."
A very melodic italian song, really sounds like a love serenade. But Lenin and Stalin also can be heared in it. Music: N. Polikarpov Lyrics: N. Polikarpov 1973. "Shagayut ryadom Lenin i Vesna!" Music: Rostislav Boyko Lyrics: Evgeniy Karasyov 1978. Singer: Khor ans. im. V.Lokteva Performed in 1978г. "...he works for people's happiness..."
"Lenin is always alive, Lenin is always with you..."
Music: S. Tulikov Lyrics: L. Oshanin 1955. "...and we are sure we go the right way..."
"...our Great Leader comrade Lenin lived here..."
Music: Yu. Milyutin Lyrics: E. Dolmatovskiy 1949. Singer: V. Nechaev Performed in 1953г. "When you'll come to the Lenin mountains..."
The oldest version of the song, MGU haven't been built yet. "Leninu slava Partii slava, slava v vekakh narodu Sovetskomu slava"
Music: Ivan Slyota Lyrics: Nikolay Singaivskiy 1979. Singer: Poleskiy ansambl Lenok g.Zhitomir Solisti Genadiy Poznyakov i Viktor Gavrish Performed in 1982г. "Slishat gori, dolini i reki. Slishit kazhdaya travka v puti. Lenin s nami. On s nami na veki. On v surovoy borbe v peredi"
Music: A.Novikov Lyrics: M. Vershinin 1960. Singer: Gosudarstvenniy russkiy narodniy khor imeni Pyatnitskogo. Khud. rukovoditel Valentin Levashov. "Podnimalos v boyakh, na kamnyakh barrikad i na machtakh Avrori oktyabrskoe znamya..."
Music: V. Muradeli Lyrics: E. Dolmatovskiy 1960. Singer: Aleksey Korolyov. Ansambl pesni VRiT, khud. ruk. A. Andrusenko Performed in 1960г. "Slishat gori, dolini i reki. Slishit kazhdaya travka v puti. Lenin s nami. On s nami naveki, A v surovoy borbe vperedi." "...we are marching in columns saluting to the Motherland..."
Music: A Pakhmutova Lyrics: Grebennikov-Dobronravov 1957. Singer: Det. khor. g.Kaliningrada Moskovskoy obl. Dir. A.Chmiryov. Simf. ork. VR. Dir. A.Birchanskiy. "...when you have no answer Lenin will help you..."
Music: S. Zaslavskiy Lyrics: A. Sofronov 1957. Singer: A. Kusleev Performed in 1960г. Music: V. Runov 1949. Singer: Orkestr MVD SSSR p/u F.I.Nikolaevskogo. Performed in 1949г. Music: Veniamin Basner Lyrics: Yu.Pritsker 1967. Singer: Khor malchikov len.kapelli p/u F.Kozlova Performed in 1967г. "Heart is beating for Motherland and singing about Stalin..."
Music: P.Belov Lyrics: L.Entelisa 1938. Singer: Nikolay Pechkovskiy Performed in 1938г. Music: Anatoliy Lepin Lyrics: Pavel Shubin 1943. Singer: Anatoliy Aleksandrovich Performed in 1960г. "Mi ikh ne zabili, devchonok, malchishek,chya zhizn molodaya za nas otdana..."
Music: I.Shvarts Lyrics: V.Korostilyov 1958. Singer: Mziuri. "Vecher siney parchoy ukril s golovoy Leningrad..."
Music: I. Lozovskogo Lyrics: V. Shishko 1959. Singer: O. Tezelashvili Performed in 1959г. Music: S. Solovev Lyrics: G. Goppe 1957. Singer: Nina Ushepovskaya i instrumentalniy kvintet pod upr. S. Soloveva Performed in 1957г. "Zanimaysya, utro molodoe, s golubim tumanom nad Nevoy"
"Im bilo vsego lish trinadtsat, no bili oni - Leningradtsi!" Music: Isaak Shvarts Lyrics: Vadim Korostilyov 1970. Singer: gruppa malchikov, det.khor Len. RTV Performed in 1970г. Music: Yu.Milyutin Lyrics: E.Dolmatovskiy 1949. Singer: G.Vinogradov, orkestr p/u E.Zablotskogo Performed in 1951г. "Mi vspomnim nashi godi molodie, i nashikh pesen gordie slova..."
Music: Yu. Milyutin Lyrics: E. Dolmatovskiy 1953. "I vnov stoim pered potrtretom sredi glubokoy tishini"
Music: Yuriy Chichkov Lyrics: Konstantin Ibryaev 1980. Singer: BDKh p/u V.Popova, solo-Karina Ayrapetyan Performed in 1980г. "Lenin's truth - free and bright world of labour..."
Music: V. Gerchik Lyrics: M. Kravchuk 1980. Music: Dominique Grange Lyrics: Dominique Grange 1968. Performed in 1968г. "Oy, berezi i sosni, partizanskie sestri"
Music: Vladimir Olovnikov Lyrics: A. Rusak 1950. Singer: Khor BelTRK Performed in 1970г. Music: Yuriy Chichkov. Lyrics: P. Sinyavskiy. 1976. Singer: Bolshoy detskiy khor. "Mchites, koni bistrie! Vzveytes, sabli ostrie, i rubite s plech, na-skaku, vrazhi golovi!" Music: V. Solovev-Sedoy Lyrics: M. Dudin 1954. "Higher rise our banner, commanders lead us, let s go, soldiers..."
From the soviet movie "Maxim Perepelitsa"
"Motherland sends us to explore the high seas..."
Music: Venedikt Pushkov Lyrics: A. Apsolon 1937. Performed in 1937г. Music: Venendikt Pushkov Lyrics: Andrey Apsolon 1936. Singer: Aleynikov Petr i dr. Performed in 1936г. Music: A. Ostrovskiy Lyrics: L. Oshanin 1962. "...how we fought bandits on the Far East..."
Music: A. V. Aleksandrov Lyrics: S. Alimov 1929. Singer: Ansambl p/u A. V. Aleksandrova. Solisti: V. Pankov i G. Babaev. Performed in 1937г. "We are going to the war for our Motherland, on call of the dear Stalin..."
Music: Z. Dunaevskiy Lyrics: I. Dobrovolskiy 1941. Singer: Ivan Shmelev, Semyon Shadilov i Ansambl pesni i plyaski NKVD. Performed in 1941г. "Once we'll remember these hard days..."
Music: Lev Shvarts. Lyrics: Mikhail Isakovskiy. 1947. Singer: BDKh. "Poy pesnyu velichalnuyu vozhdyu Otchizni - Stalinu"
Music: N. Khlopkov Lyrics: Ya. Shvedov 1949. Singer: Gos. Uralskiy nar. Khor p/u N. Khlopkova Performed in 1950г. "Letite, golubi, letite, v luchakh zari i v groznoy mgle.."
Music: Isaak Dunaevskiy Lyrics: Mikhail Matusovskiy 1950. Music: Isaak Dunaevskiy Lyrics: Mikhail Matusovskiy 1951. Singer: Bolshoy detskiy khor Performed in 1977г. "Letite, golubi, letite, dlya vas nigde pregradi net!" Music: Dunaevskiy Isaak Lyrics: Matusovskiy Mikhail 1951. Singer: Mosk. khor molodyozhi i studentov, v sopr. f-no Performed in 1970г. Music: Isaak Dunaevskiy Lyrics: Mikhail Matusovskiy 1951. Singer: I, Arkhipova, Akademicheskiy Bolshoy khor i Bolshoy simf. orkestr TsT i VR, dir. V.Fedoseev Performed in 1975г. "Pered nami ot kraya do kraya otkrivaet prostori strana!" Music: Yu. Slonov Lyrics: A. Kovalenkov 1938. Singer: Art. MALEGOT a B.O.Geft, f-no E.B.Senkevich Performed in 1938г. "Let us do that ..."
Music: I. Dunaevskiy Lyrics: V. Lebedev-Kumach 1937. Singer: Khor i orkestr BT p/u I. Dunaevskogo. "Ne nuzhno mne solntse chuzhoe, chuzhaya zemlya ne nuzhna"
Music: Matvey Blanter Lyrics: Mikhail Isakovskiy 1948. Singer: Vladimir Bunchikov Performed in 1949г. 1942. Singer: Yu. Levitan Performed in 1942г. 1945. Singer: Yu. Levitan Performed in 1945г. "nashi voyska ovladeli zheleznodorozhnim uzlom Krimskoe.."
1943. Singer: Yu.B.Levitan Performed in 1943г. "Great Patriotic War against fascist agressors victoriously ended!" Levitan, the most famous soviet radio dictor reads Stalin's order to Red Army - Victory! Lyrics: Yuriy Borisovich Levitan 1945. Performed in 1945г. 1943. Singer: Yu. Levitan Performed in 1943г. 1944. Singer: Yu. Levitan Performed in 1944г. 1941. Singer: Yu. Levitan Performed in 1941г. Lyrics: Yuriy Borisovich Levitan 1945. Singer: Levitan Performed in 1945г. Famous radio broadcast, that divided life of all soviet people between "before" and "after"
"Last news! Troops of Don Front have just destroyed fascist forces, surrounded in Stalingrad!" Soviet radio on success in Stalingrad, german 6th army and parts of 4th pz army destroyed. Lyrics: Yuriy Borisovich Levitan 1943. Performed in 1943г. "shar prevrashaetsya v svetyashiysya kupol..."
1955. Singer: Yu.B.Levitan Performed in 1955г. Lyrics: K. Simonov 1942. Singer: Yu.Levitan Performed in 1942г. Music: Venedikt Pushkov Lyrics: A.Apsolon 1936. Singer: Mikhail Mikhaylov Performed in 1948г. "Shturmovat dalyoko more posilala nas strana..."
"Povodom k sozdaniyu pesni yavilas strashnaya polosa bezrabotitsi vo vremya mirovogo ekonomicheskogo krizisa, nachavshayasya v 1929 g. Togda bezrabotnie dolzhni bili otmechatsya na birzhe truda, gde prostavlyalsya shtempel v kartu bezrabotnogo." Music: Gans Eysler (Hanns Eisler) Lyrics: David Weber (= Robert Gilbert) 1929. Singer: Ernst Bush (Ernst Busch), Studioorchester Dirigent Hanns Eisler Performed in 1929г. Music: Gans Eysler (Hanns Eisler) Lyrics: David Weber (= Robert Gilbert) 1929. Singer: Ernst Bush (Ernst Busch) Performed in 1964г. "Wir graben unsre Gräber... Mi kopaem nashi mogili..."
Music: Gans Eysler (Hanns Eisler) Lyrics: Anna Gmeyner 1932. Singer: Ernst Bush (Ernst Busch), Studioorchester Dirigent Hanns Eisler Performed in 1932г. "Vorwärts, Internationale Brigade! Hoch die Fahne der Solidarität! Vpered, internatsionalnie brigadi! Vishe znamya solidarnosti!" Music: Karlos Palasio (Carlos Palacio) Lyrics: Erikh Vaynert (Erich Weinert) 1936. Singer: Ernst Bush (Ernst Busch) Performed in 1937г. "Bankirov stan za rubezhami opyat gotovit nam udar, mi vpishem v nebo virazhami: Krepi ediniy front truda!..." "Was einst geschlecht sich um geschlecht in heißem kampf errang... Narodniy front - koalitsiya kommunistov, sotsialistov i vsekh demokraticheskikh sil, sozdannaya dlya borbi s fashizmom v Ispanii v 1936 g."
Music: Viktor Tomilin (obrabotka Kurt Greiner-Pol) Lyrics: Erikh Vaynert (Erich Weinert) 1937. Singer: Karl-Heinz Weichert, Hermann Hähnel, Männerchor und Blasorchester Leitung: Heinz Arenz Performed in 1967г. "Bivshiy gimn Kominterna s novimi slovami, napisannimi Kherlminom v 1950-e godi." "Bivshiy gimn Kominterna s novim tekstom S. Khermlina, napisannim posle voyni. Vozmozhni varianti nazvaniya pesni: Brüder, seid bereit ili Arbeiterlied." "Nemetskiy variant sovetskoy Pesni o pyatiletke. Eta pesnya peredavalas Lyudvigom Rennom v 1930 v Moskvu." Music: Narodnie Lyrics: Narodnie Singer: Hannes Wader Performed in 1977г. Music: Reiner Böhm Lyrics: Reinhold Andert 1971. Singer: Oktoberklub Performed in 1971г. "Let us shout to the Stalin: "Thank you, dear Leader!" Music: A. V. Aleksandrov Lyrics: V. Lebedev-Kumach 1936. Singer: Ansambl p/u A. Aleksandrova. Performed in 1936г. "Left march" "Du hast das Wort, rede, Genosse Mauser! " Music: G. Eysler Lyrics: V. V. Mayakovskiy 1918. Singer: Erich - Weinert - Ensemble unserer Nationalen Volksarme Performed in 1976г. "...nastroenie zavisit i ot pochti polevoy. sizhu li ya v okope idu li v boy..."
Music: neizvesten Lyrics: neizvesten 1960. Singer: V k/f ispolnyaet M. Pugovkin Performed in 1960г. "...after victory i'll return to you on a battle horse..."
Music: N. Bogoslovskiy Lyrics: Dolmatovskiy 1942. Singer: iz k/f Aleksandr Parkhomenko Performed in 1942г. "Pomnite, cherez veka, cherez goda, - Pomnite!!! - Ubeyte voynu, proklyanite voynu, POMNITE!!!" Music: Nikita Bogoslovskiy. Lyrics: Evgeniy Dolmatovskiy. 1942. Singer: Vitaliy Vlasov. Music: N. Bogoslovskiy Lyrics: Dolmatovskiy 1942. Singer: ? Performed in 1942г. Music: N. Bogoslovskiy 1942. Performed in 1942г. Music: Mikhail Starokadomskiy Lyrics: Zoya Aleksandrova Singer: Khor TsDDZh p/u S. Dunaevskogo, Performed in 1957г. "To, chto prochno, neprochno... Pobezhdenniy segodnya pobeditelem stanet zavtra." Music: Khrennikov Lyrics: Matusovskiy 1954. "Plila, kachalas lodochka po Yauze-reke"
Music: Tikhon Khrennikov Lyrics: Mikhail Matusovskiy 1954. Singer: Tolkunova Valentina, ork. Yu.Silanteva Performed in 1975г. Music: T.Khrennikov Lyrics: M.Matusovskiy 1954. Singer: Vokalniy oktet Krasnoznamennogo ansamblya, T.Khrennikov (f-no). Performed in 1955г. Music: narodnaya Lyrics: M. Isakovskiy 1944. Singer: V.Nechaev Performed in 1947г. Music: narodnaya Lyrics: M. Isakovskiy 1944. "Long live Stalin, who leads us from one victory to another one..."
Music: M. Starokadomskiy Lyrics: A. Gatov 1937. Singer: Pyotr Kirichek i Solomon Khromchenko. f-no N. Shtilman. Performed in 1937г. Music: S.Kats Lyrics: A.Sofronov 1948. Singer: G.Abramov V.Bunchikov Performed in 1950г. "I call you Russia, my only one..."
Song about Russia from movie "Shadows disappear at noon"
Music: Enrique Casal, Karlos Palasio (Carlos Palacio) Lyrics: Antonio Aparicio, Erikh Vaynert (Erich Weinert) 1936. "Somos los campesinos, Hoy somos los soldados... Mi - krestyane, no segodnya mi - soldati... Vorwärts, Internationale Brigade!.. Vpered, internatsionalnie brigadi!.." Music: Chicho Sánchez Ferlosio Singer: Rolando Alarcón Performed in 1969г. "Los cuatro generales, mamita mía, que se han alzado. Para la nochebuena, mamita mía, serán ahorcados... Chetire generala, mamita mía, kotorie podnyalis. V noch pod rozhdestvo, mamita mía, budut povesheni..."
Music: Na melodiyu narodnoy pesni XIX veka Los cuatros muleros (Chetire pogonshika mulov) Lyrics: nemetskiy tekst Ernst Bush (Ernst Busch) 1936. Singer: Ernst Bush (Ernst Busch) Performed in 1938г. Music: Na melodiyu narodnoy pesni XIX veka Los cuatros muleros (Chetire pogonshika mulov) Lyrics: Ernst Bush (Ernst Busch) 1936. Singer: Ernst Bush (Ernst Busch) Performed in 1963г. "There is no limit, no end to our spring"
Music: K. Listov Lyrics: V. Tikhonov 1944. Singer: Daniil Demyanov, K. Listov (akkordeon). Performed in 1944г. Music: Evgeniy Zharkovskiy Lyrics: Sergey Mikhalkov 1939. Singer: khor p/u G.Struve Performed in 1939г. "...You won t know fear and pain, Stalin wil show you your way..."
1924. Singer: A.V.Lunacharskiy Performed in 1924г. "Strelki vremya otschitali na chasakh, I raketa poyavilas v nebesakh, Na Lunu odnim dikhanem perenes Vek dvadtsatiy vosem novenkikh koles.... Zavikhrilis pilyu mlechnie puti, Mozhet, eto ot tachanki ognevoy Doletaet do Luni poriv likhoy...."
"Vse mi trudimsya kak nado, pervoy devushkoy v brigade — Lyana..."
Music: obrabotka L. Lyadovoy Lyrics: moldavskaya narodnaya 1951. Singer: Lyudmila Lyadova i Nina Panteleeva Performed in 1951г. "Kuda menya znakomaya dorozhenka zovyot-na polyushko kolkhoznoe, tuda gde lyon tsvetyot..."
Music: E.Rodigin Lyrics: V.Bokov 1963. Singer: Gos. Uralskiy russkiy nar. khor (zhenskaya gruppa). Khud. ruk. B.Gibalin. Zapevaet A.Petrova. Duet bayanistov. Performed in 1963г. Music: K. Listov Lyrics: D. Demyanov Singer: Ork. VRK p. u. V. Knushevitskogo Performed in 1945г. "Stoit v bezmolvnom velichii v lesnom krayu obelisk. Rukoyu berezhnoy visechen na kamne devichiy lik..."
Music: Yuriy Chichkov Lyrics: Konstantin Ibryaev 1975. Singer: BDKh, solistki Larisa Stolyarzh i Irina Kirillova. Zapis po translyatsii s kontserta Yuriya Chichkova. Performed in 1975г. Music: N. Bogoslovskiy Lyrics: E. Dolmatovskiy 1939. Singer: Pol Robson, A. Erokhin (f-no), Performed in 1949г. "...mozhet spat spokoyno i videt sni, i zelenet sredi vesni." Music: A. Novikov Lyrics: S. Alimov 1949. Singer: Vladimir Nechaev. Performed in 1951г. "Kogda vsya Rossiya nadela shineli, neredko bivalo soldat vspominal: pro belie roshi i livni kosie i mislenno detyam svoim zaveshal..."
Music: Serafim Tulikov Lyrics: O.Milyavskiy 1969. Singer: Lyudmila Georgievna Zikina Performed in 1969г. "Udalite, pozhaluysta, moyu predidushuyu vikladku, tam po oshibke v odnom fayle bili soedineni dve pesni: eta i Molodie sadovodi." Music: Yuriy Chichkov. Lyrics: Yuriy Polukhin. Singer: A.Elanskaya. "Sibir, Sibir, lyublyu tvoi snega..."
Music: G.Podelskiy Lyrics: I.Nazalevich, per. L.Smirnova 1963. Singer: Georg Ots i Viktor Gurev Performed in 1963г. "... I samaya luchshaya v mire poputchitsa-pesnya povsyudu so mnoy!..." Music: Bogdan Trotsyuk Lyrics: Yakov Khelemskiy 1960. Singer: Vladimir Nechaev Performed in 1961г. Music: Yuriy Chichkov Lyrics: Yakov Khaletskiy 1974. Singer: BDKh, solisti V.Nikolaev, O.Kasyanov Performed in 1974г. "Zvenit otvagi kolokol, v doroge vse, kto molodi,nam karta pobed vruchena..."
Music: A.Pakhmutova Lyrics: N.Dobronravov. 1978. Singer: VIA Nadezhda,solist-I.Ivanov. "Ya - snayper, i iz sta vozmozhnikh, vsyu sotnyu ya v mishen vobyu!..." Music: I.Dunaevskiy Lyrics: L.Levin 1938. Singer: A.Menaker v sopr. simf. dzhaza teatra Miniatyur p/u V.P.Ulrikha Performed in 1938г. Music: V.Levashov Lyrics: V.Lazarev 1973. Singer: Yu. Bogatikov Performed in 1973г. "... Za dalyokimi polyami ti zhivyosh, lyubov moya... "
Music: Platon Mayboroda Lyrics: Teren Masenko 1957. Singer: K.Ognevoy, khor Ukrradio Performed in 1957г. Music: I. Shishov Lyrics: M. Isakovskiy 1937. Singer: N. K. Pechkovskiy Performed in 1937г. 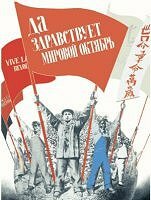 "Ne dadim mi na zemle rodnoy prigretsya, tem kto nam meshaet zhit"
1968. Singer: Khor moskovskoy militsii Performed in 1968г.